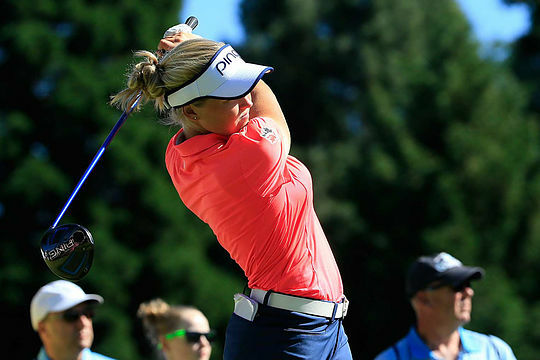 Canadian teen sensation Brooke Henderson came back of the Portland, Oregon as the defending champion and managed to create history in the process, leading from start to finish to join legends Annika Sorenstam and Kathy Whitworth as the 3rd player to win back-to-back titles at the Cambia Portland Classic. Henderson finished at 14-under par and defeated Stacy Lewis by four shots for her third career LPGA victory, just three weeks after claiming her first major title at the Women’s PGA Championship up the road in Seattle. In 2015, Henderson cruised to an 8-shot victory but the road to this title was much more tightly contested, with Lewis (-10), Suzann Pettersen (-9), Austin Ernst (-8) and Mariajo Uribe (-8) all having genuine chances to win over the final round. Sarah Jane Smith was the best placed Australian in a tie for 19th place at four-under with Karrie Webb finishing tied for 41st at one-under. Barring a dramatic turnaround in form at next week’s U.S. Women’s Open in San Martin, California, or some late withdrawals, Webb now looks destined to miss her chance of representing Australia at the Rio Olympics next month. Minjee Lee and Su Oh fill the top two qualifying spots with one week left before the team is confirmed, with Webb a full 20 ranking positions behind Oh in the women’s Rolex Rankings. It would now appear that only a third Open title or an extremely high finish will be enough to keep the Queenslander’s dream alive.